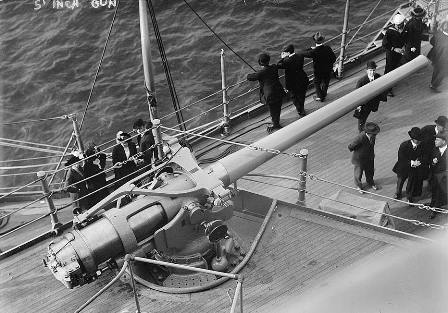 You may wonder what iceboating and WW1 Naval guns have to do with each other but there’s always a way to connect iceboating to anything. (Ask me about Abraham Lincoln and iceboating sometime -Ed.) MISS WISCONSIN won the Northwest Free For All in 1922 and 1923. 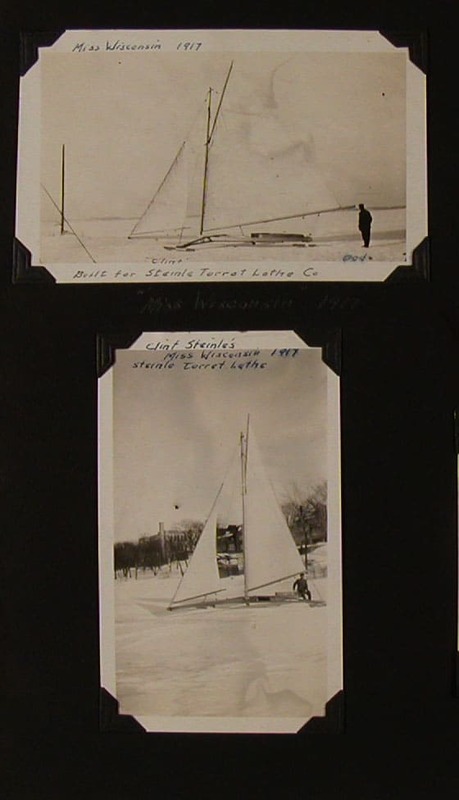 In 1918, Madison’s most famous iceboat builder, William Bernard, accepted a commission from the Steinle Turret Lathe Machine Company and built the most expensive iceboat of his career. MISS WISCONSIN cost $1,000, an amazing sum considering that Bernard’s most expensive boat to date had cost $400. Taking her maiden voyage in high winds, the Wisconsin State Journal reported that she broke “all speed laws of Lake Mendota” and picked up an ice fisherman as she swept by him. The man was not severely injured and recovered shortly after his harrowing ride. William Bernard’s son Carl, a young teenager at the time, recalled that there was “no finer ice boat ever built.” George Steinle’s company manufactured 5” guns for the U. S. Navy.